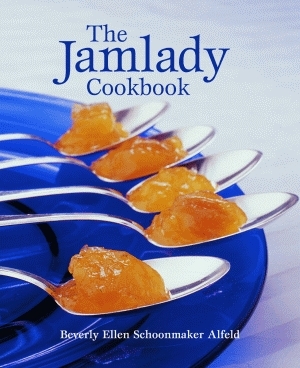 Sections include discussion of processing methods and troubleshooting; definitions of and the distinctions between jellies, jams, preserves, butters, marmalades, conserves, spreads, and chutneys; recipes for jellies, jams, and preserves; recipes for baking with jams; recipes for butters; an appendix on the approximate pH of foods and pH measurement, including a pH chart; a buyer’s guide; and a bibliography. Advanced recipes and methods teach more experienced canners the savory and sweet secrets to creating their own fine preserves. The extensive baking section and serving suggestions offer ideas on how to best showcase these preserved and enhanced flavors. Jamlady’s decades of research and experimentation have culminated in this impressive volume, destined to become a dog-eared classic in the pantheon of cooking manuals. Beverly Ellen Schoonmaker Alfeld has a BA and MFA in art and an MA in theoretical design. Raised in a commercial-nursery/greenhouse family, she has completed the school of instruction in food processing prescribed by the Food and Drug Administration and has completed advanced coursework in the fields of education, administration, and school law. Ms. Alfeld is an academic performance specialist with twenty-three years’ experience in K-12, university, and junior-college classrooms; a member of the Daughters of the American Revolution; and the founder of the Donald L. Schoonmaker Scholarship Fund. She also works as an advocate for special-needs children.